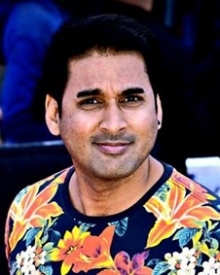 MJ Rakesh is an Indian radio personality, compere, interactive gamer and team building specialist from Bangalore. Bigg Boss Kannada Season 6 Rakesh takes part in the most controversial reality show Bigg Boss 6 in Kannada along with 17 other contestants. Here Are A Few Difficulties Darshan & Yash Might Face If Nikhil Kumar Wins Against Sumalatha!